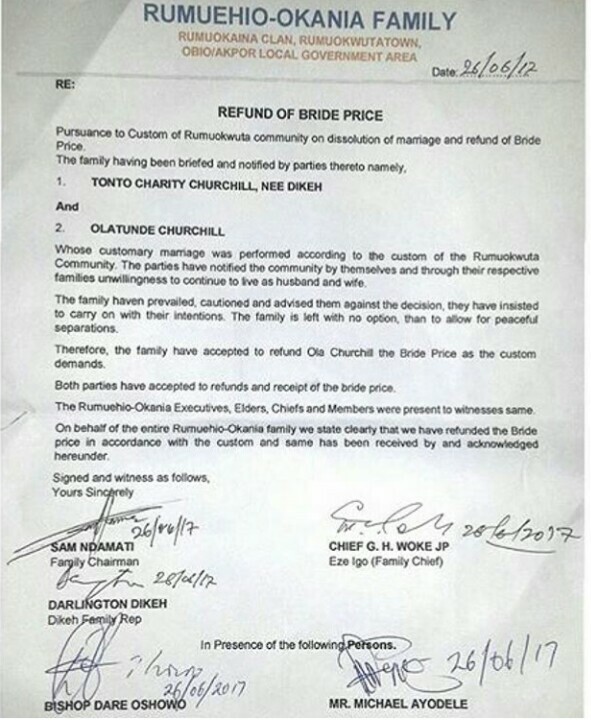 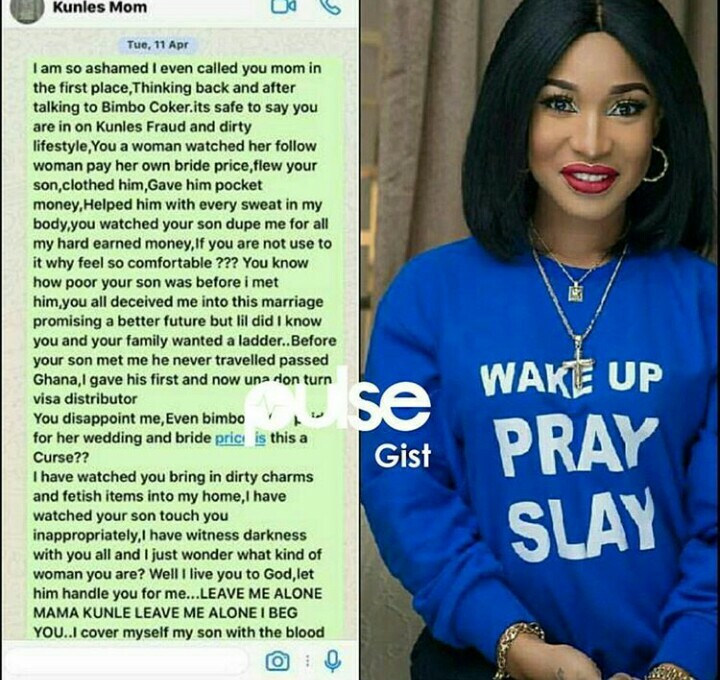 The marital crisis between Tonto Dikeh and Olakunle Churchill aka Big Churchill has taken another twist as Churchill's family went back to Tonto Dikeh's family house to have her bride price refunded. 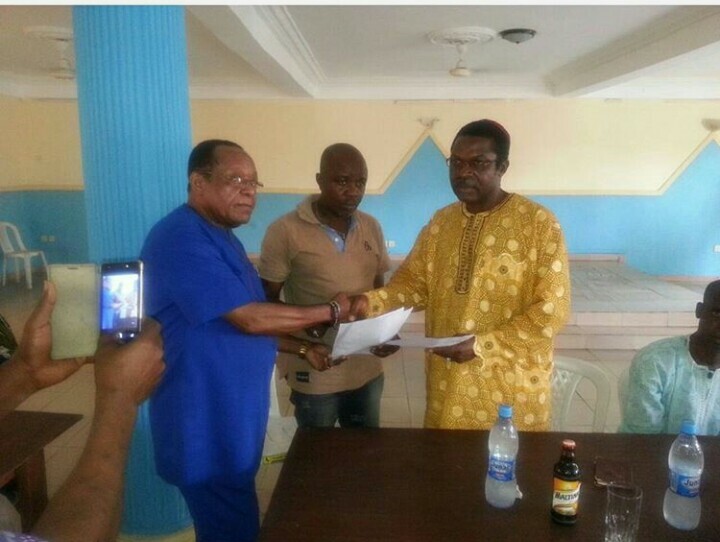 Churchill's uncle, Bishop Dare led a delegation to meet with Tonto Dikeh's father, Chief Sunny Dikeh in Port Harcourt to collect the bride price they paid over a year ago when they held their introduction. 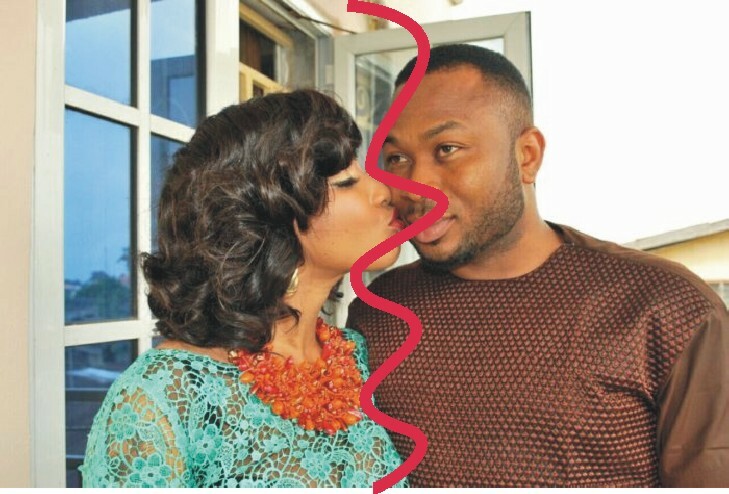 Is quite a pity - Celebrity marriages, do they ever last?